Robert J. Callahan, a top Criminal Defense Lawyer in Chicago and now best-selling author, is featured in the new book, “Simple Decisions Life Changing Results.” The book recently reached three Amazon Top-Ten best-seller lists and is currently available in the Amazon Kindle bookstore.This triple best-selling book reached the #1 spot in the ‘Education & Reference’ category and the #3 slot in the ‘Self-Help’ and ‘Professional Development’ categories on Monday July 28th. Callahan discusses some of the most critical reasons why someone who has been arrested needs to have an attorney present before they even say their first word to the investigators. An attorney can help you present your facts correctly in a manner that will protect you from any misinterpretations that could be harmful to the outcome of your case. Robert J Callahan, Chicago Criminal Defense Attorney, was featured on Influencers Radio show uncovering the realities of being arrested and facing the complex and overwhelming Chicago and Cook County, IL criminal justice system. Chicago Criminal Defense Attorney, Robert J Callahan, was the featured guest on Influencers Radio show with Jack Mize, discussing the obstacles and myths the accused must face when they find themselves under arrest in the criminal justice system of Chicago. During the interview, Callahan dispels many of the misconceptions people have that are perpetuated by popular television crime shows. He states about the Chicago Criminal Justice System, “It’s a challenging place to practice criminal defense. It can be complex and overwhelming, and when someone gets arrested here, they’re dealing with a different type of law enforcement system, a different type of judicial system, a different type of political system than you’re going to experience in most other parts of the country. As one of the largest cities in the United States, the Chicago Police Department is overwhelmed themselves. Callahan explains that innocent as well as guilty people are arrested every day and that his primary responsibility and obligation is to make sure that the proper legal procedures were followed when his clients were arrested and processed. Callahan discusses some of the most critical reasons why someone who has been arrested needs to have an attorney present before they even say their first word to the investigators. He reveals how tremendous pressure on the police department can create the urgency to get confessions and close cases which have a life changing impact on the outcome of a case if an attorney is not involved. The radio interview also delves into the psychology of both innocent and guilty people when they enter into the criminal justice system and the fascinating differences in their behaviors after they’ve been arrested. 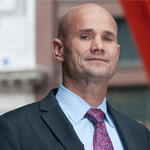 As one of the most respected criminal defense attorneys in the Chicago system, Robert J Callahan has made it his mission to aggressively deliver the full legal representation every citizen is entitled to by the constitution. Chicago (June 22, 2012) – Robert J Callahan & Associates, the Chicago Criminal Defense Law Firm, announced today the launch of a new website and blog designed to educate and inform visitors on the firm’s expanded capabilities in several areas of criminal law specialization. With 18 years of experience, developed while working in the criminal law specialty area of narcotics defense related litigation, as well as contesting the devastating effects of DUI and other traffic and vehicle offenses, Robert J Callahan & Associates is a proven criminal defense law firm serving clients in the Chicago area and throughout Illinois. Our experience and expertise has helped us win more cases than anyone else currently practicing criminal defense law in Chicago. Our new website, at www.defenselawyersite.com, provides information to help clients achieve success based on our experience and expertise in the areas of criminal defense investigation and research. Our processes are well built and help us uncover crime data and discover relevant information in the cases we’re defending. These efforts have been used to show unusual patterns, methods and trends that may impact investigative leads related to criminal motive and activity. By offering our new website with a regularly updated blog, we can provide clients with examples of data and facts derived from our investigations. Case studies based on our experience show how we’ve carried out investigations that revealed the essential facts of a case, and in many situations helped us contest statements that may have derived from fabrication and misperception. Our new site also extends to present a focus on cross-examination. We strive to demonstrate our experience in cross-examination, and offer examples of success based on developing complete evidence, and maintaining an active courtroom strategy. Each case deserves a complete understanding of the factors surrounding prosecutorial strategy, and even the people involved in the prosecution. To learn more about Robert J Callahan & Associates Chicago Criminal Defense Law Firm, visit our new site at www.defenselawyersite.com. Unfortunately, life is not always a bed of roses, and at times, it can deal very difficult cards in the form of criminal charges. Considerable amounts of criminal charges that are pressed against people are unconstitutional or outright illegal and unfair. In some cases, people just happen to be in the wrong place at the wrong time. Whatever the case may be, the Constitution guarantees you certain rights. Every criminal defendant is presumed innocent. The Government has the burden of overcoming that presumption. Recent case victories for Robert J Callahan and Associates prove that one of the top names in Chicago criminal defense is Robert J Callahan. Case number 09 MC1-103171 was heard at Branch 48 Cook County Courthouse and involved a Felony drug charge. “Shelton O. was allegedly stopped by Chicago Police Officers because his license plate was not properly illuminated according to court documents. He argued with the officers about the reason for the stop and was dragged from his car,” said Mr. Callahan. According to court documents the officers claimed that Shelton did not have his driver’s license on his person, and arrested him. “During cross-examination at the Preliminary Hearing, the officer testified contrary to his written report. Numerous inconsistencies were exposed. At the close of cross-examination the Judge issued a finding of No Probable Cause,” said Callahan. This case was dismissed with a Finding of No Probable Cause/Non-suit on 2-24-09. In the overwhelming majority of criminal cases rights are not being upheld and enforced. Rigorous, experienced and effective representation safeguards one’s future, and assures compliance with one’s rights. Any mistake in this area can be costly, both monetarily and with regard to personal freedom. Unless one finds an experienced Chicago defense attorney, it is not going to be easy to defend one’s rights. Robert J Callahan comes out victoriously in criminal cases. His latest victories speak for themselves. Through his sharp investigation tactics, Robert Callahan established in the court that his client had other compelling reasons for fleeing the accident scene and that he was not responsible for the accident. This criminal defense attorney from Chicago is never satisfied with superficial investigation. He drills down deep into the reports until he finds his trump card and his perseverance pays well. “It is frustrating and frightening to witness what happens to people who fail to find a defense lawyer” said Mr. Callahan. “When it comes to investigation, the defense lawyer should know how to build the case against all odds. Evidence will not be as obvious to the naked, inexperienced eye as to a seasoned professional. Hard work, experience and investigation can often uncover the truth,” stated Callahan. Though Robert J Callahan is a busy criminal defense lawyer, he is happy to help people who are looking for more than just legal representation. His greatest asset is his experience. Over the past 15 years, he has faced a variety of criminal cases. Mere knowledge in law is not sufficient to win cases and to prove the innocence of clients. It requires a sharp mind and the willingness to go the extra mile to safeguard the interests of his clients. For more information about the services of Robert J Callahan and Associates, please visit, Defenselawyersite.com.